This image has been shot in black and white. No color version available.) 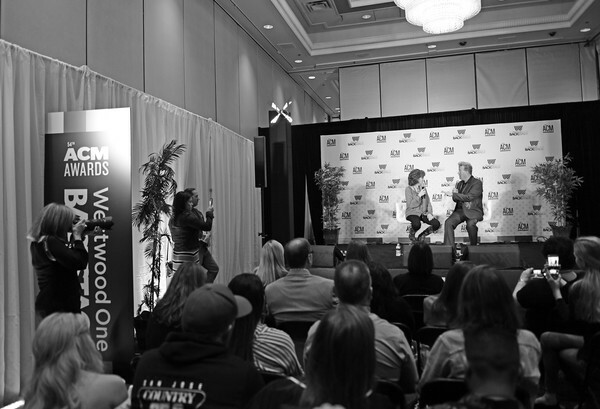 (L-R) Reba McEntire and Shawn Parr speak during the 54th Academy Of Country Music Awards host press conference on April 05, 2019 in Las Vegas, Nevada.